Moms are the anchors in their households. When a mom isn't well, everyone suffers. Maternal Mental Health disorders impact up to 20% of pregnant women and women in the postpartum period (year after birth), yet most are never diagnosed and treated. 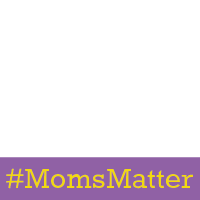 Add a twibbon to your Facebook or Twitter pic to share that you care about these moms and families.